After their mother died, seven wolf pups were brought to the Gölpınar Wildlife Rescue and Rehabilitation Center in southeastern Turkey's Şanlıurfa, where they are being nursed by a dog. 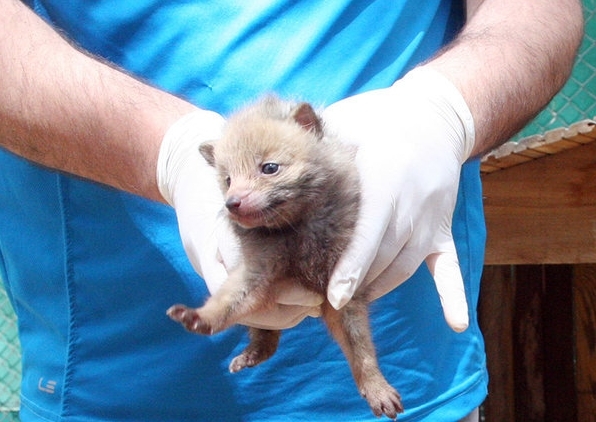 The newborn wolves were discovered Monday in the Kulp district of Diyarbakır by Forestry Management Directorate units and were brought to the Şanlıurfa branch of the Directorate of Nature Conservation and National Parks. 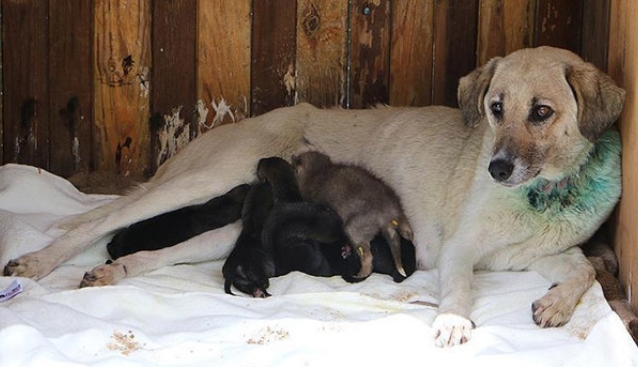 The veterinarian treating the wolves, Reşat Ektiren, found a dog whose puppies had died in a Şanlıurfa animal shelter to serve as a surrogate mother for the orphaned pups. The baby wolves have since begun drinking milk from their stand-in dog mother. Fehmi Yüksel, deputy director of the Nature Conservation and National Parks 3rd Region, told reporters that many injured wild animals found in the southeastern Anatolia region were treated in the center. "The pups are very small and need to be fed with milk. We brought a dog from the shelter whose puppies had recently died so that she could nurse the wolf pups. The animals immediately adapted to one another," Yüksel said. Veterinarian Ektiren said that the pups would be staying at the center for a while. "The rehabilitation process will be challenging. I hope we will return the pups to their natural habitat." Emphasizing that the animals were healthy, Ektiren said, "They have no problem nursing. Thanks to this mother dog I hope that they will be able to hold onto life." Responses to "Dog fosters orphaned wolf pups in Turkey’s southeast"